Over the past two weeks the Moy system had a reported catch of 1,178 salmon bringing the total for the season to 5,513. While the week ending 23rd July saw excellent conditions with anglers catching good numbers of fish throughout the entire system, angling was a little patchier during last week as water levels fluctuated most of the time. Anglers on the Moy Fishery enjoyed good sport with the majority of the fish being caught on fly. Amongst the successful anglers were Trevor Shreeve, UK, with two grilse on fly from the Ridge Pool and Gerhard Reidy, Limerick, who caught and released a grilse also on the Ridge Pool. Gerhard was also successful on the Cathedral Beat and the Fresh Water Beat where he had two more fish on worm and spinner. Fly angler, Jim Ryan, Tipperary, had 3 grilse on the Cathedral Beat (2 released), while Jimmy French and William Millar, both Northern Ireland, had a grilse each on the Weir Pool also on fly. 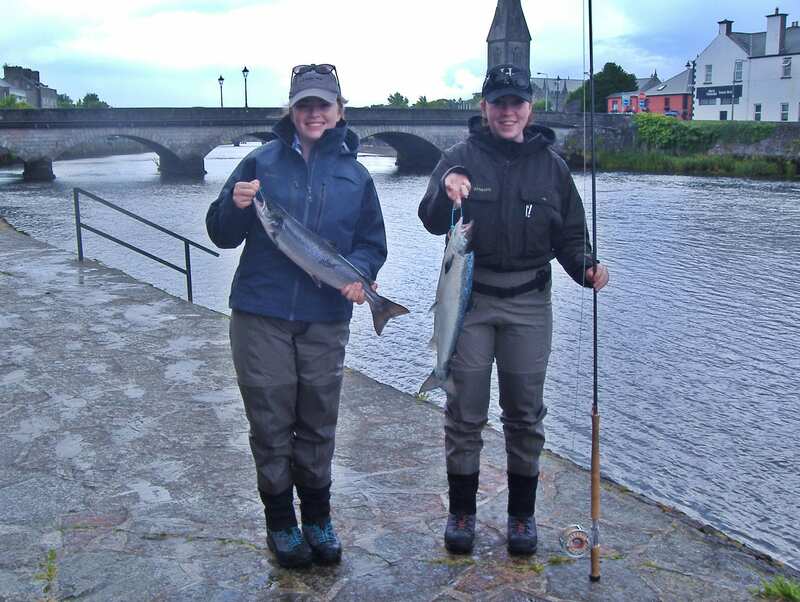 Sisters Dara and Bronagh Murphy, Dublin, had two grilse each on the Ridge Pool. Their fish weighed between 2.75 lbs. and 4.5 lbs. and were caught on worm and fly. Gian Luigi de Nardo, Phillip Martin, Mervin Couzens and Trevor Shreeve all enjoyed good fishing on Coolcronan mainly on worm and spinner, while Gary Perks and Mike Hornsby, UK, had a cracking week on the Mt. Falcon water catching a total of 28 fish, most of which were released. Swiss visitor, Patrick Zolliker, had a five pounder on Gannon’s on bubble & fly, while 15 year old Matthew Bradley from Northern Ireland caught his first ever salmon on the Foxford Fishery. Matthew actually went on to catch two more fish all on worm! Angling was also good on the Foxford Salmon Anglers’ waters, East Mayo and on Cloongee where Brian Everard, Meath, had two grilse on worm while Dermot Seymor, Mayo, caught and released a 5 lbs. grilse on fly. Ballina Golf Club holds the first Albany Open.